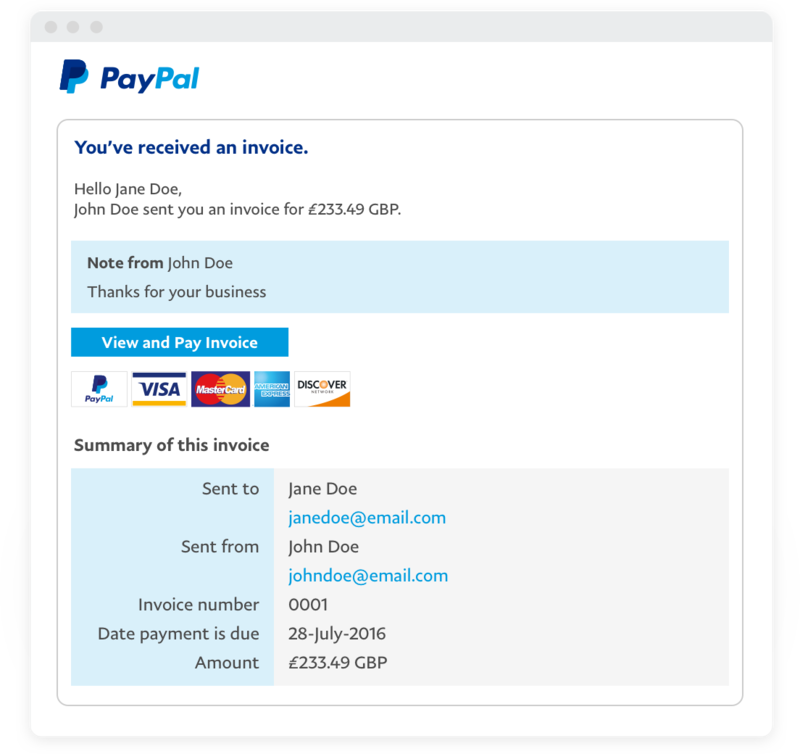 Get paid the easy way with invoicing by email. Create and send professional invoices using our free, customisable templates. Call 0800 358 7929* or contact us. PayPal is accepted in over 200 markets and regions and our invoice templates are available in over 15 languages & 25 currencies, giving you the choice to sell around the world. 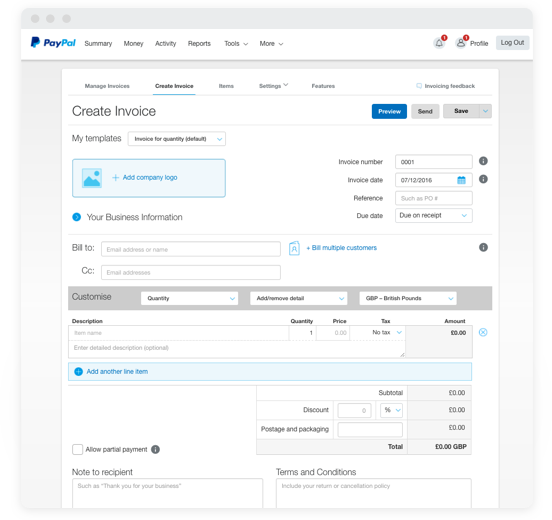 5 reasons to send invoices with PayPal. Your customers can pay you by PayPal, debit card or credit card. Whichever way they pay, the money arrives in your PayPal account within minutes. 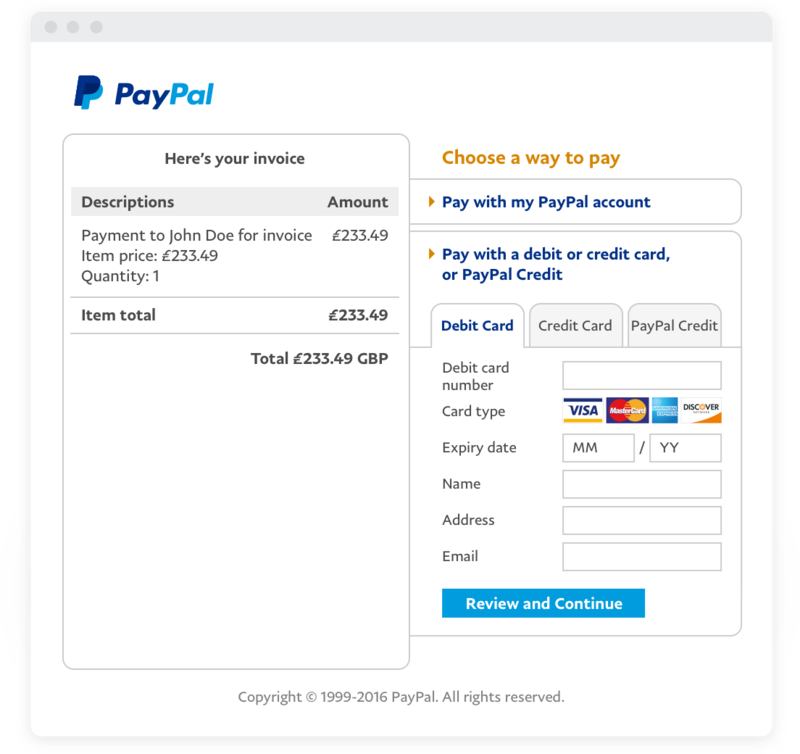 The PayPal checkout button appears on all invoices, so your customers can pay you more securely, in a couple of clicks, whether or not they have a PayPal account. Choose one of our pre-defined templates, add your logo and tailor the layout to suit your business. You can send unlimited invoices, with up to 5 attachments. Manage your money from one account. Track invoice history and transactions. View unpaid invoices and send reminders. No integration needed and you don’t need a website to send an invoice. Send invoices from your mobile device and get paid in seconds with the PayPal Business app. Download the app to log in from your mobile device, any time, anywhere. Create an online invoice and email it to your customer. Your customer receives the invoice and clicks the PayPal checkout button. Your customer can choose to pay the full amount or a deposit (where applicable). Once they’ve completed the transaction they’ll receive confirmation of payment. 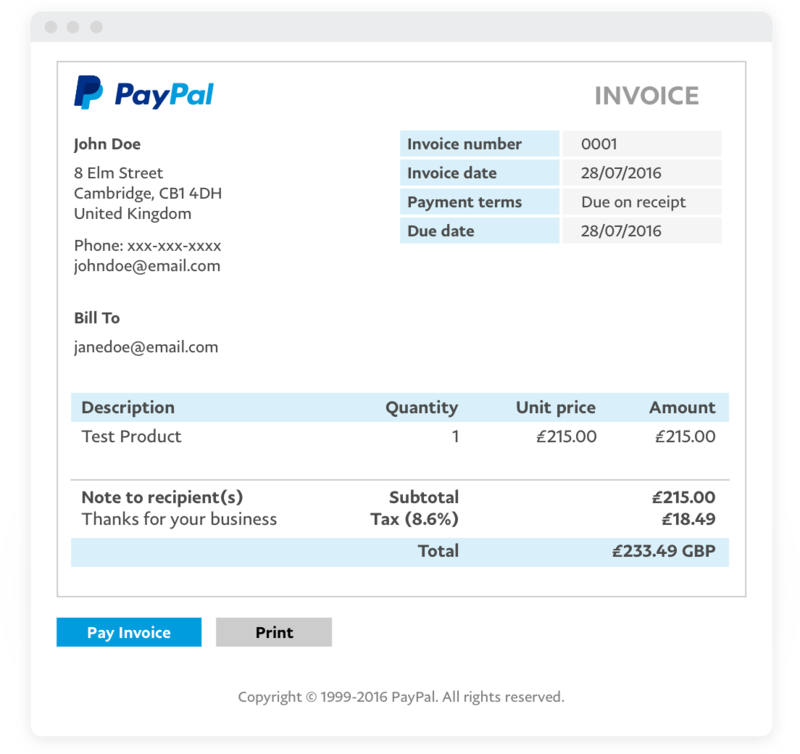 Select and customise an invoice template via your PayPal account. Estimate your PayPal invoice fees. Manage invoices on the move with the PayPal Business app. Click Tools at the top of the page, and then click Invoicing. For more details on how to send a PayPal Invoice, watch the below video. How do I send an invoice to another country? You don’t need to do anything special to send an invoice to another country. Just submit the invoice with your customer’s email address, and we’ll send it. If your customer has a PayPal account in another country, we’ll automatically translate the invoice and email notification into their language. Want to get paid in person with our card reader? Need to send lots of invoices and want to automate them? *Freephone from a UK landline. However, costs from mobiles may apply and are dependent on the terms of agreement with your network provider. If you are calling from outside the UK, call 00353 1 436 9004 (international call charges may apply). PayPal does not provide financial, business or legal advice of any kind and PayPal products do not count as a substitute for any professional advice.